On Saturday December 13th, from 5-8 p.m., Sweatpants & Coffee will be partnering with Jijamas for an in-person and virtual Pajama Party & Storytime for Grown-Ups with our readers and fans, at BookSmart of Morgan Hill, CA. Proceeds of ticket sales and raffle entries from the event will go to Project Night Night, a charity that provides “Night Night Packages” free of charge to homeless children. Each package contains a security blanket, an age appropriate book, and a stuffed animal in a brand new tote bag. In-person attendees: Come dressed in your favorite PJs and get ready to mingle with your fellow comfort lovers. Listen to stories by authors Julia Park Tracey (The Doris Diaries, Veronika Layne Gets The Scoop), Kate Milliken (If I’d Known You Were Coming), and Sweatpants & Coffee’s own managing editor, Jordan Rosenfeld (Forged In Grace). 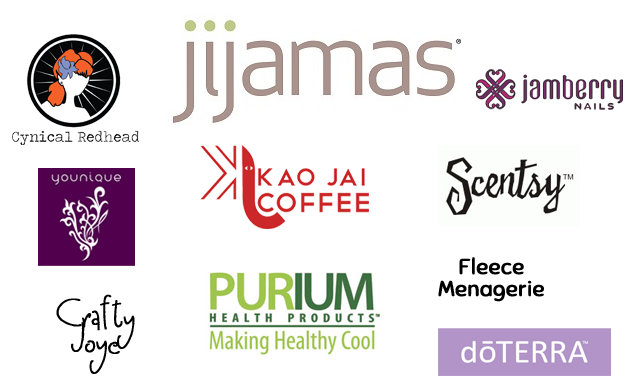 Meet S&C founder, Nanea Hoffman and other members of our staff, enjoy a signature cocktail, hot cocoa or soothing beverage of your choice, learn why Jijamas are “the world’s softest pajamas,” and enter to win fabulous raffle prizes. 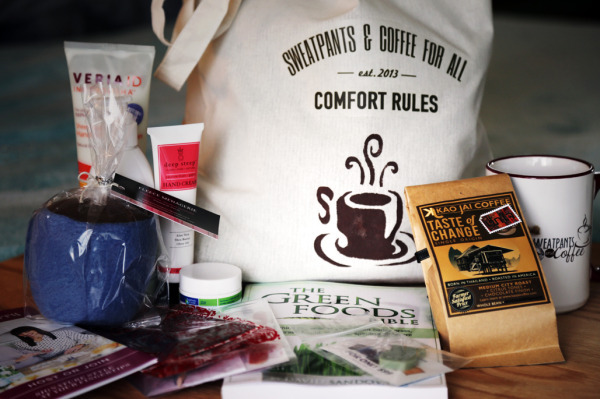 The first 10 registrants will also receive one of our limited edition Sweatpants & Coffee mugs, and RSVP ticket holders will go home with swag bag of comfort lifestyle products. All attendees will receive a raffle ticket and the opportunity to win fabulous prizes. Participate online! If you aren’t one of the lucky 25 who attend this event, you can still join in the fun. Follow @SweatpantsCafe on Twitter or @sweatpantsandcoffee on Instagram, then Tweet or Instagram us a pic of you in your pajamas using the hashtag #SCPJPARTY for a chance to win all kinds of swag and prizes, including a pair of super comfy Jijamas pajamas. Raffle prizes will include a 10 Day Transformation Cleanse from Purium, jewelry from Cynical Redhead, and of course, a pair of uber-comfy Jijamas pajamas! If you are among the first 25 Early Bird and RSVP registrants, you’ll also get samples of Younique mascara, Jamberry nail wraps, an adorable coffee cup stuffy from Fleece Menagerie, and more. Check back here, as we’ll be adding more sponsors in the weeks to come. You got my attention! How much are the tickets ?